BlackGold SAGD oil sands project, image courtesy of Harvest Operations. The Calgary-based arm of South Korean state-owned Korea National Oil Corp announced on Dec. 21 it will start the 10,000 barrels of oil per day (bopd) steam-assisted gravity drainage (SAGD) operation, construction at which was halted in 2015 due to low oil prices. In a press release on SEDAR, Harvest said that major work at the site has already started, with the aim of commissioning wells and starting steam injection in Q2 2018. Production is slated for the third quarter. It cites "the stabilization of crude oil pricing and the improved operational and financial performance of Harvest’s conventional business as factors in its decision to move forward with BlackGold." The start-up has been helped through a refinancing of $1.36 billion of maturing debt, plus the raising last month of an additional quarter-million in financing, the company said. 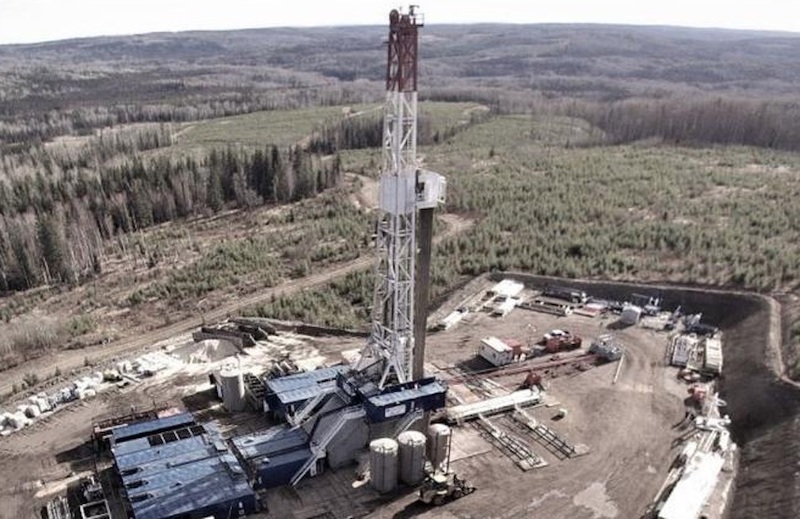 Global News notes the project was built for around $900 million and was "considered mechanically complete" when it was shelved in the spring of 2015 when WTI oil prices were around $50 a barrel, half as much as a year earlier. WTI on Thursday closed at $59.84, for a percentage gain of 0.34%. The Canadian oil sands have seen an exodus of foreign investment since the oil price collapse of 2014 and US shale plays gathered momentum. The divestments have included Royal Dutch Shell, Marathon Oil, Statoil and ConocoPhillips. Yesterday AXA SA, the third-largest insurer in the world, said that it will divest about $822 million from the main oil sands producers and associated pipelines, and will stop further investments in these businesses. The move could affect companies such as TransCanada, Enbridge and Kinder Morgan. But as foreign companies have pulled out money, Canadian firms have made multi-billion-dollar deals to expand their holdings. According to energy consultancy Wood Mackenzie, Canadian ownership of oil sands production now sits at over 80%, reported the Calgary Herald.